During his last season in Tuscaloosa before heading off to take over the head coach position at Duke University, Wallace Wade employed an unusual tactic with his Alabama squad - he refused to start the starters. For every game of the 1930 season, the first quarter was played with the second team. "You see, that second team was able to hold everybody scoreless the whole year," he explained years later. "We knew it would help us for an opponent to play the second team and not score and then know we were sending in the first team." And it worked. Alabama's first team stayed on the bench for the first quarter then came in and crushed the opposing team. At the end of the season the Crimson Tide had outscored its opponents 271 to 13. They held held eight teams scoreless and only Vanderbilt and Tennessee were able to reach the end zone and both of them accomplished the feat only once. 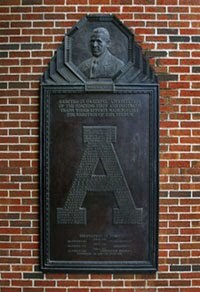 The Crimson Tide even used it in the 1931 Rose Bowl against Washington State to successfully down the Cougars 24-0 and claim the national championship. It wasn't exactly an original idea. 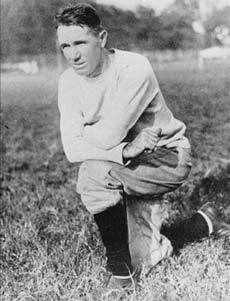 Knute Rockne had previously employed the tactic with spectacular success at Notre Dame calling his second squad the "shock troops." Tulane's Clark Shaughnessy tried the gambit against LSU in 1926 but the Green Wave second team allowed the Tigers to score what proved to be the winning touchdown of the contest. You can read more about it over at Roll Bama Roll.